Concerts and Events – Come to our Sounds of Summer Concert – All tickets only £5! 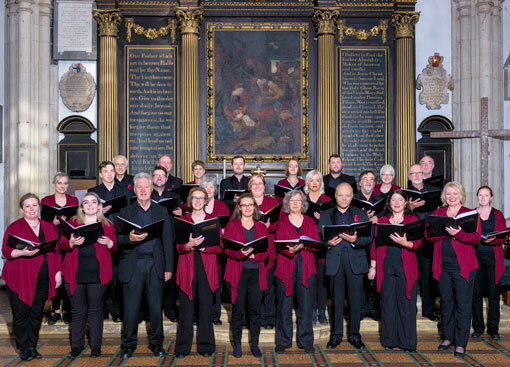 Join us in the first of two new venues for the choir as we perform a variety of summery choral classics evoking gardens, flowers, birds and warm weather! The programme will include Vaughan Williams’ Three Shakespeare Songs and songs by Elgar, Stanford, Gershwin, Chilcott and others. 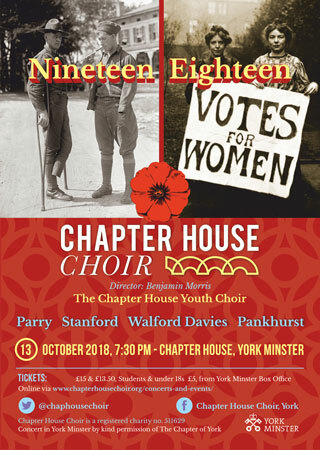 All tickets – £5! Tickets will be available shortly. 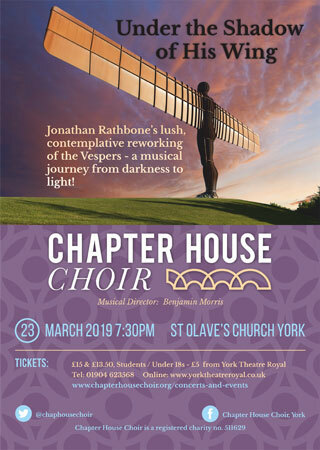 In our second new venue the Chapter House Choir will perform a selection of summery choral classics in Thirsk. 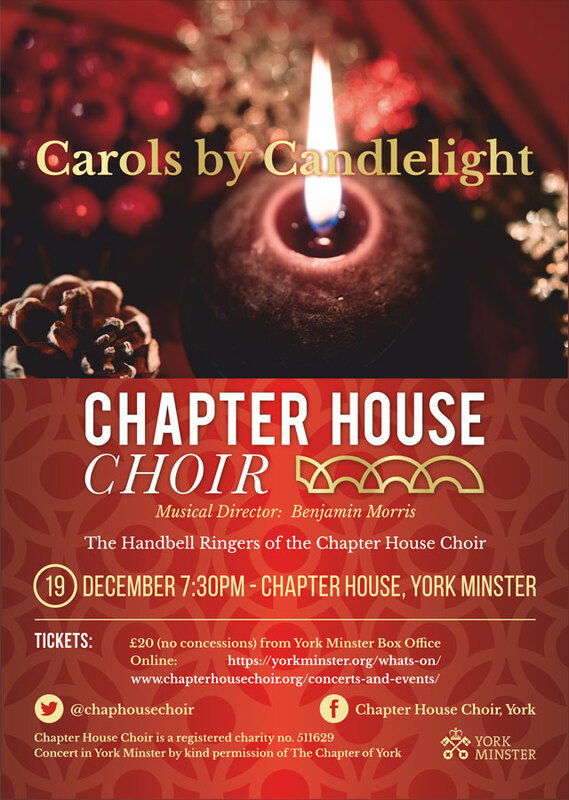 This charity concert will be in aid of the Chapter House Choir, St Mary’s Church Thirsk and the Multiple Sclerosis Society. This is a great opportunity to work with a master in his field! 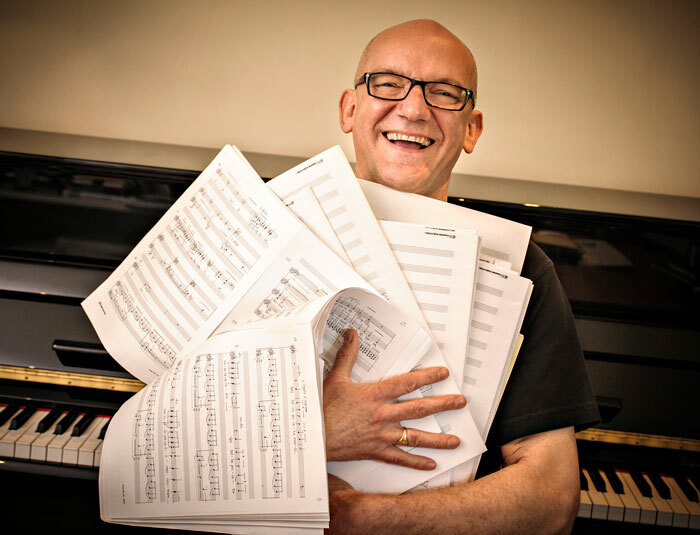 Under Bob Chilcott’s entertaining and encouraging guidance you will work through some of his compositions, using a variety of choral singing techniques to help you improve and get more enjoyment from choral singing. Tickets cost £20 for adults and £5 for under 18s, students and non-singing guests, available from Eventbrite from 1 March 2019 using the Buy Tickets button below. This concert comprised a complete performance of Jonathan Rathbone’s Under the Shadow of His Wing, a wonderful extended setting of the service of Vespers, in the presence of the composer. The Chapter House Choir’s trademark traditional Carols by Candlelight with The Handbell Ringers of the Chapter House Choir in the wonderful Chapter House of York Minster. A celebration of the festive season with carols old and new! 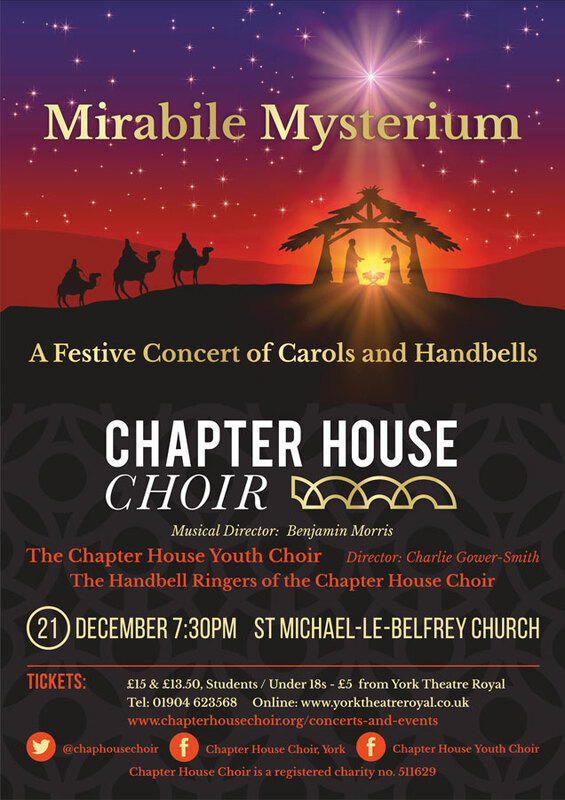 The Chapter House Choir performed alongside the Chapter House Youth Choir and The Handbell Ringers of the Chapter House Choir. Nearest parking: Bootham Row Car Park. 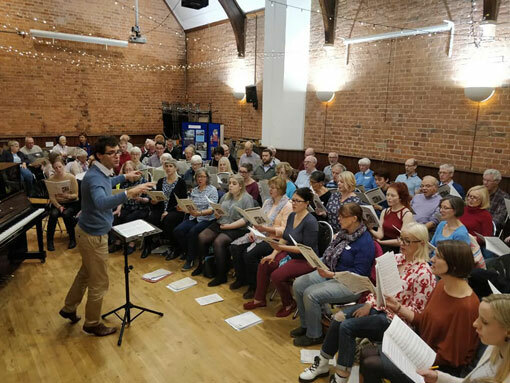 It was brilliant to welcome nearly 40 extra singers to our open rehearsal, who came just to listen or to join us in singing as we prepared for our Carols by Candlelight concert! There was an opportunity to meet and talk to choir members and our director during the break. Refreshments were provided. The final concert from our series on the theme of exile, reconciliation and peace marks three significant 100-year anniversaries: Hubert Parry’s death, the granting of women’s suffrage and later the right for women to be elected to parliament, and the forthcoming 100th anniversary on 11/11/18 of the armistice in the First World War.